Point Of Injury (POI) care is essential to saving lives and requires delivery of medical treatment in combat under complex, hostile, and austere environments. Simulated medications developed for combat casualty care and incorporated into scenario based training can build point of injury (POI) skills that can be directly used by first responders on the battlefield. 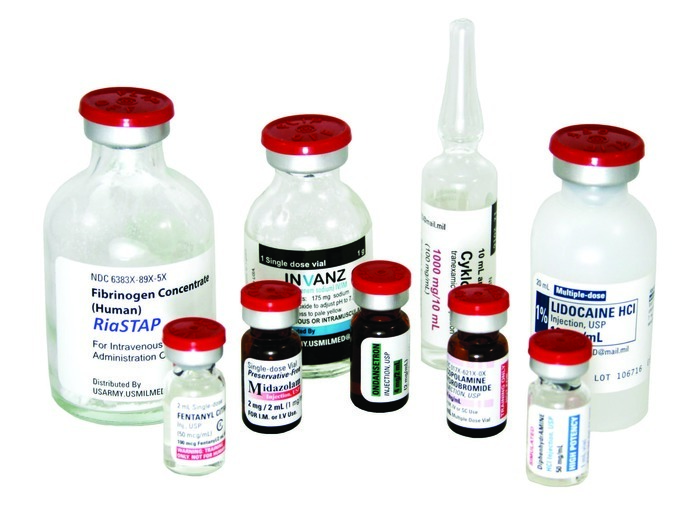 These sim meds are designed to meet the unique training needs of each program, unit, event, and environment regardless of skill level of the personnel delivering care . Incorporating simulated medications into combat trauma scenarios can promote muscle memory and improve psychomotor skill development for use under the most extreme conditions, when point of care has the most influence on casualty outcomes. Simulated medications are portable, disposable, and an economical way to contribute to mission medical preparedness.